Graduating with a PhD is a significant and substantial academic achievement. Looking your best is not an option, it is a must. We offer convenient packages such as this Tam & Gown Package and in addition, we offer a Deluxe Doctorate Academic Gown & Hood Package. 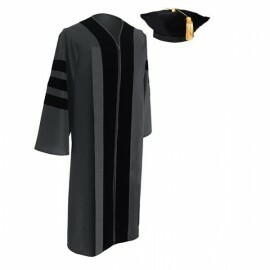 Our Doctorate Degree Academic Regalia is also sold separately. 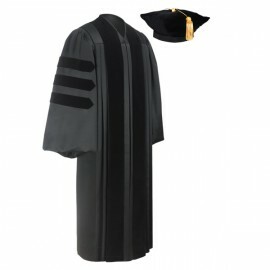 Whether you need the Deluxe Doctorate Academic Gown, Beefeaters, or just the Doctorate Degree PhD Hoods, we have them all here for your convenience – including Academic Accessories! 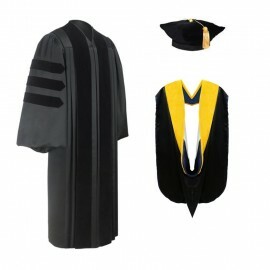 Gradshop.com offers affordable prices for all your graduation academic attire for a memorable graduation commencement that is sure to last a lifetime. 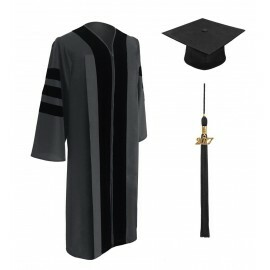 We have a range of processing and delivery options in order for you to receive your graduation academic regalia in the time frame you require. Ordering may be made on-line or via fax. Why wait? Speak to us right now!